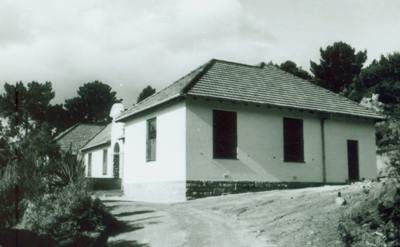 By the end of the decade the herbarium had two new wings, a new reservoir was in place as well as two new staff houses. With reorganization of the Tea House terrace and the addition of living accommodation, the last of the old farmhouse which had predated the Garden disappeared. Prof. Compton who had been Director since 1919, retired in 1954 and was succeeded by Prof. Brian Rycroft, the first South African born Director of Kirstenbosch.. Dr Duncan Baxter who had been on the Board of Trustees since the inception of the Garden also retired after 45 years. Miss Johns who had been a teacher at the school for 26 years, and had instructed more than 100,000 children, also left at the end of the decade. 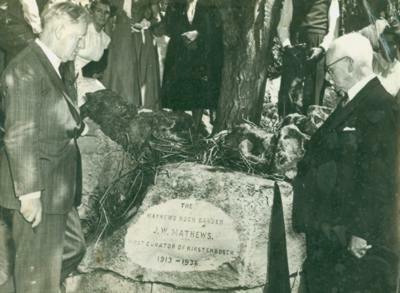 In the 1950s the Compton Herbarium, Mathews’ Rockery and Smuts’ Trail were all named in honour of men who had played a significant role at Kirstenbosch. 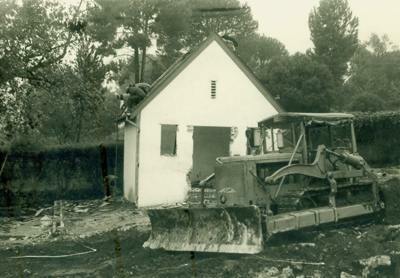 The widening of Rhodes Drive threatened the garden in the 1950s, but land was bought in Bishopscourt to provide a deviation and this improved the operation of the Garden considerably as the road, which previously went between the nursery and garden, was now diverted to the east and no longer separated the two. 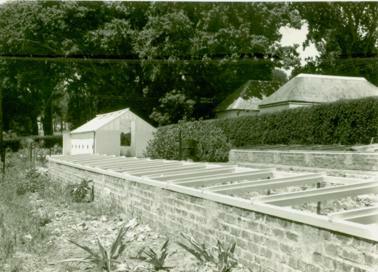 The view of the nursery below shows new glasshouse and frames. In Sept 1956 it was decided to charge a shilling (10c) for cars entering the garden at weekends. This was the first time any charge was made for visiting the garden. In 1957 the Tinie Versveld Wildflower Reserve at Darling and the Edith Stephens Reserve on the Cape Flats were given to Kirstenbosch to manage the gardens and in 1959 the Harold Porter National Botanical Garden at Betty’s Bay joined the fold. Prof. Rycroft was to be instrumental in expanding the number of national botanical gardens considerably in the years ahead.